If you have a penchant for painting, drawing, and sketching, then the normal canvas and paper might usually suffice your needs. However, with the advent of technology and the ever-growing need for mobility, the canvas has gone touch-friendly and the painting brush digital. 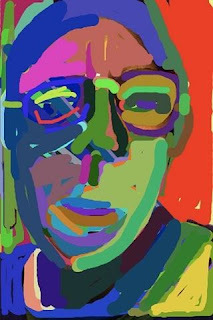 Thanks to iPad, iPhone, and a bunch of impressive Android devices, painting on a mobile device is no longer a thing of the future. You can now draw, sketch, and paint on your tablet computer, smartphone, and other mobile devices without getting your hands messy with the paint and all. Though, of course, it’s not the same experience as painting with a real brush or a pencil, it still has some advantages over the old-school method. Firstly, painting on a mobile device can be used to teach kids the creative art of painting without exposing them to toxic crayons or messy paints. Secondly, you can share your work to all the major social networks by simply clicking a button and get the exposure you always needed. 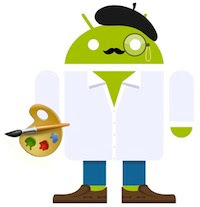 So, if you’re looking for some good painting, drawing, or sketching apps for your Android device, you've come to the right place. Here’s a list of all the best ones in the genre. 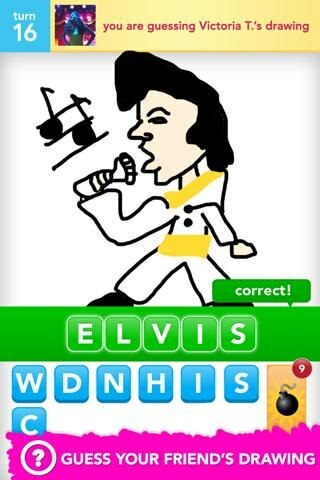 Draw Something, apart from being a painting or sketching app, is a fun social game that you can play with your friends and family. Topping the charts currently as the number 1 free app, the game involves players taking turns to draw pictures that their opponents have to guess correctly. The better you are at guessing, the more coins you earn. The app has soared to unimagined heights since its launch; the hype of this little wonder is so much that the popular Zynga has recently acquired OMGPOP, the creator of Draw Something. A painting app specially designed for kids, Kids Paint lets you unleash your creativity without getting your fingers messy. Once installed, you or your kid can use it to draw anything from a grizzly bear to a scenic vista. If you mess up, just shake the screen and start over. 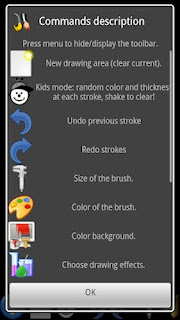 Rated 4 out of 5 stars, Kids Paint is freely available for download from the Play Store. This free app lets you do finger painting, brush painting, spray painting and even layer painting. The app can be used by kids as well as adults to unleash their creativity. 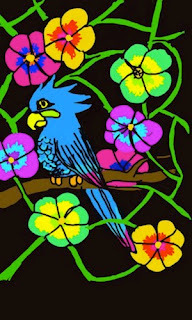 Kids Doodle is an app specially designed for young children who love to paint. 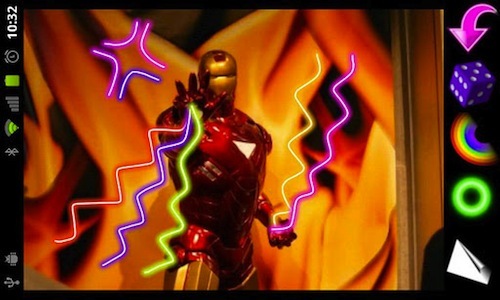 Apart from letting kids paint with various brushes, the app also features a special movie mode. So, once you paint your picture, you can play it back as a movie. 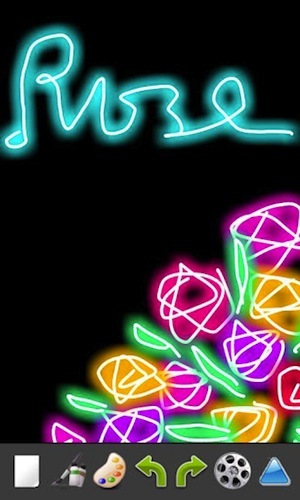 Another unique feature of this app is that it comes with various brushes including neon, rainbow, emboss, and crayon. Once you’re done painting, you can share your masterpiece via Facebook, SMS, Gmail, or else, you can store it safely into your SD card. With over 3 million downloads worldwide, this free app is a must-have for the budding doodler in you. 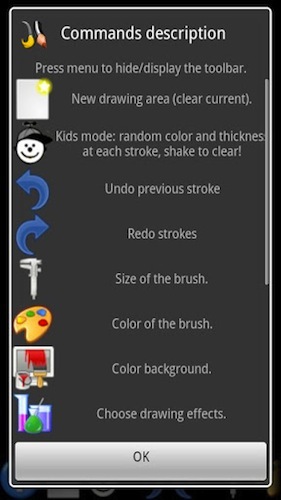 Paint Pro is a simple application that lets you paint with various effects and backgrounds. Though the app doesn't have much to offer, especially when pitted with most of the aforementioned titles, it’s still a great download if you’re looking for something simple and straightforward. Paint Pro is rated 4.2 out of 5 stars and has been downloaded more than a million times so far. This app is not a sketching app per se; however, it does let you doodle for hours. The free download lets you draw on pictures and add a little funk to them. So, for example, you have your 21st birthday pictures with you. With this app, you can add a lightsaber or a lightning to your image with a touch of a button. Of course, you can doodle anything, but it’s much more fun to draw over your favorite images.